For the Dutch Geocoin fans, we can announce that we will take care of the production this year. There are already some discussion ongoing on some forums in the Netherlands. We are curious what it is going to be this year. The Hedgehog geocoin, samples are ready. At the end of the week, the production of the coin will be started. In total at least 17 (!) different editions are planned, each with 20 pieces. 7 versions will be available via our shop. 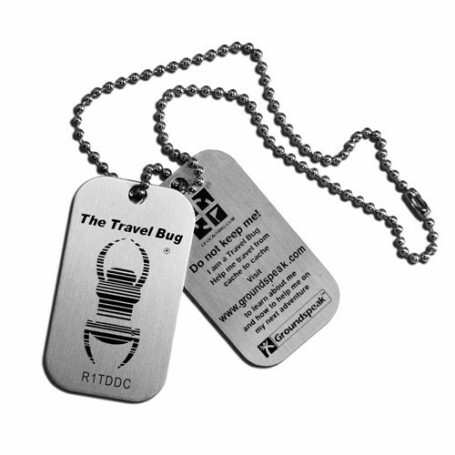 The rest is going to Geocachers and shops in the US, Germany, France, Norway and Sweden. This week, no new Geocoins, but we have several projects running. That includes a number of event geocoins which will become available on the events soon. We have some new cache containers, micro and mini in camo, black and forest. Ideal to hide it somewhere between the leafs. Hardly visible for muggles. They all have an engraved marking to identify it as a geocache. You can find these and other cache containers on our website in Cache containers. Now available: a bike mount for the Garmin Montana. Including 4" anti-glare screen protector. Added to our portfolio of magnets, we have now 2 sizes of round countersunk magnets. Available in 20mm and 16mm. We have also to additional sizes magnets with a hook. We already had the 16mm magnet, but now we have also a smaller edition (10mm) and a larger edition (20mm).